A black day for Microsoft and Windows Mobile … the Open Mobile Alliance did a great job in launching T-Mobile G1. For 3 years T-Mobile, Google and HTC worked on bringing the first handest of the Open Mobile Alliance to the market. 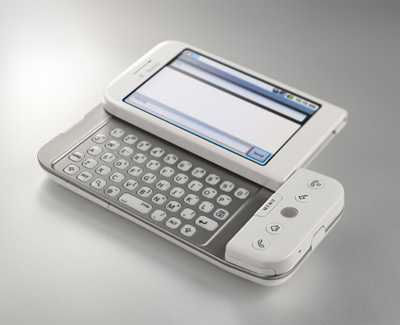 Available in the US: October 26th 2008 – $179 for the G1 with a T-Mobile voice plan plus a data plan. Data plan with unlimited data and 400 messages for 25$ option or an unlimited data and messaging plan for 35$. UK: Early November 2008 and rest of Europe in the first quarter of 2009. This add’s a lot of competition to the mobile handset market where Apple speeded up the innovation circle with the iPhone. So, let’s get ready to rumble!